The very latest generation of zirconia materials are so life-like that even the most skillfully created PFM restoration cannot compete with their liveliness and translucency. Each year, the number of zirconia restorations produced by dental labs is steadily increasing. 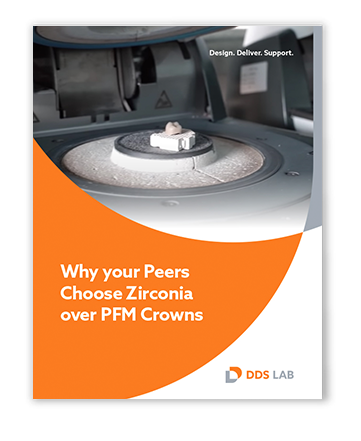 In many labs, demand for zirconia restorations now exceeds the demand for PFMs. 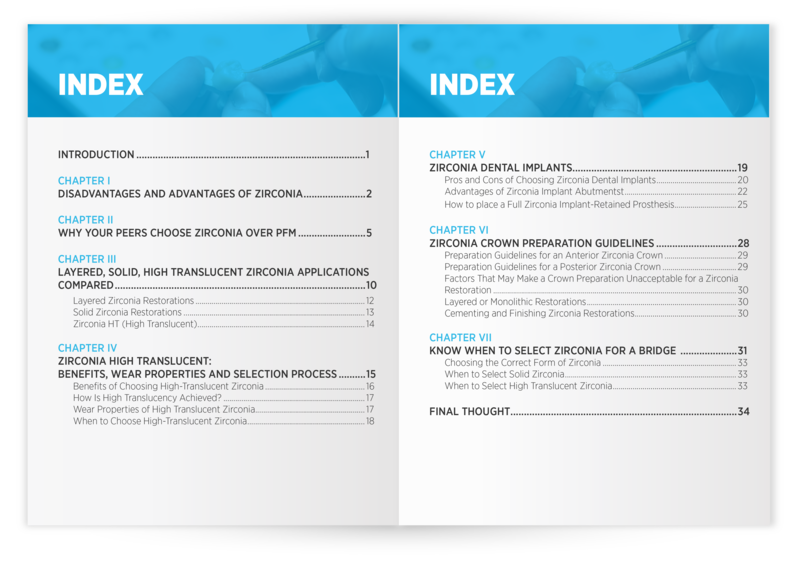 Zirconia restorations are currently one of the most advanced materials available, a fact recognized by clinicians seeking to provide patients with the very best treatment outcome.